Gemology is a branch of mineralogy that studies natural and artificial gemstones. The practice of gemology consists of new research into natural and artificial stones, and also of providing identification and evaluation services for consumers and retailers of fine jewelry, thus helping to protect buyers and keep jewelry prices and markets stable. The first schools of gemology were founded in the 19th century in response to the growing market for jewelry and the subsequent need to formalize the evaluation of precious gemstones. The first truly professional accreditation in gemology came from the Gemological Association of Great Britain, founded in 1908. Robert Shipley, who in 1929 was the first American to graduate the course, went on to establish the Gemological Institute of America (GIA) in 1931. Since then GIA has made a number of advancements in the field of gemology, including the creation of a standardized system of evaluating and communicating gemstone quality, most notably the four C system of diamond grading (Color, Cut Clarity, Carat), which is now the universal language used for communicating diamond quality. GIA has also pioneered a number of new techniques for detecting simulants and treated gemstones, and continues to conduct new research in the field of gemology. There are a wide variety of institutions worldwide that provide independent, third party gem identification and evaluation services, however GIA is widely considered the most consistent and precise, making GIA gemstone certifications the most sought-after in the industry. Here at Oceanside Jewelers we have a full-time GIA graduate gemologist on staff to ensure you get the best possible value whether you’re purchasing diamonds, selling diamonds, trading-in jewelry, or pawning your jewelry. 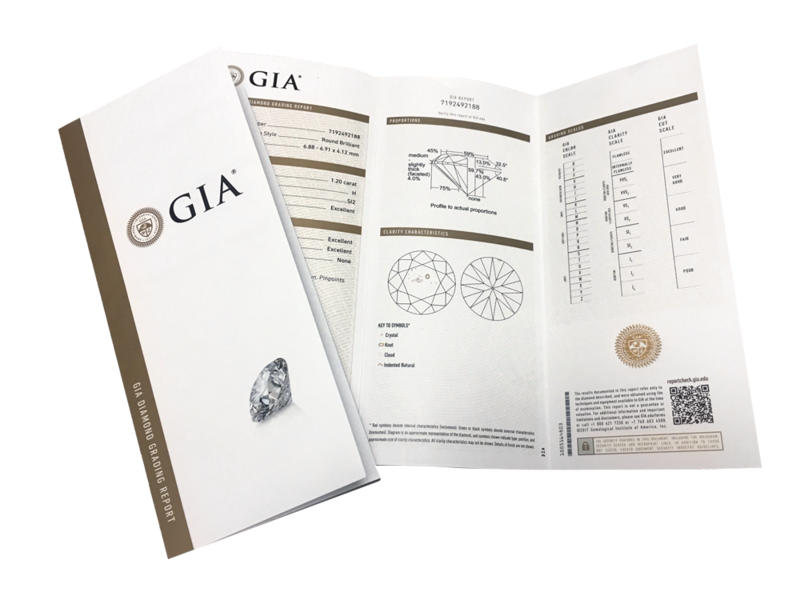 We also keep a wide selection of both GIA certified diamonds and EGL certified diamonds in our inventory as well as available in our finished jewelry giving you added assurance and value in the purchase of your diamonds, diamond engagement ring, or diamond jewelry.